It was a back-to-back iftar at Jamiyah Halfway House (Darul Islah) last weekend. On Friday, 16th June 2017, residents of Darul Islah had the opportunity to break fast with local company, GL Engineering & Contractor Pte Ltd (GL E&C) at the Home. 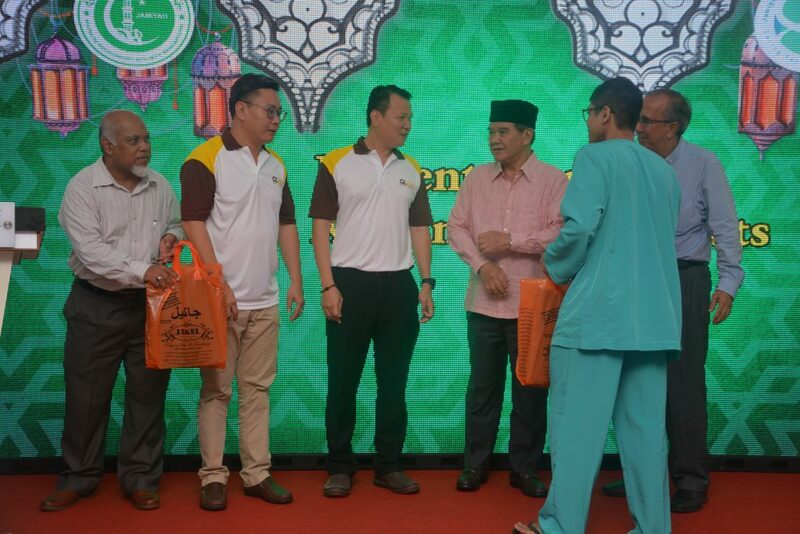 Staff from GL E&C of various nationalities, including Bangladesh and Myanmar were also present at the iftar event that saw the interaction between them and residents of Darul Islah. Before the break of fast, GL E&C’s Managing Director, Mr Lim Sing Tian announced the company’s employment programme with the Home, in support of the residents’ commitment to return to work. The programme will cover job placement, training opportunities, workplace befriending as well as mentorship between the foreign workers and selected candidates at the company. “I’m happy and I feel motivated to change to be a person than before,” shared a resident of Darul Islah who has been selected by GL E&C for employment with the company upon his release from the halfway house. 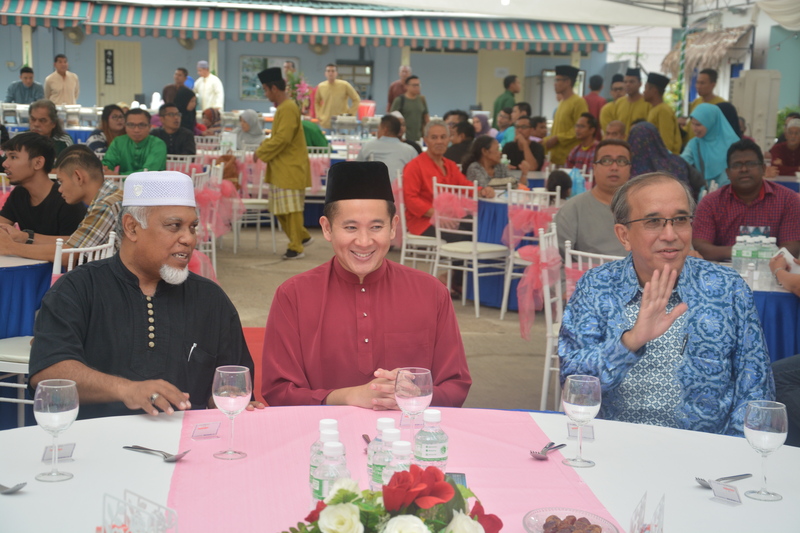 GL E&C also presented a set of Malay traditional outfit to each resident as a Hari Raya Aidilfitri gift. Former Speaker of Parliament, Mr Abdullah Tarmugi was the Guest-of-Honour that evening. The following day, Darul Islah had the pleasure of having iftar with several esteemed partners of the Home, with Parliamentary Secretary, Ministry of Home Affairs & Ministry of Health, Mr Amrin Amin as Guest-of-Honour.